Rishikesh became our base camp from where we decided where to go next. Baba sometimes talked about his Guruji and I became more and more curious. He suggested that we could next travel to Bikaner, Rajasthan to pay Guruji a visit in the ashram. Baba grew up in a small village in Bihar as the youngest of three children. When he was only eleven years old he broke out of society. Apparently he has been a rebel in his own way since childhood. Sometimes he went to school, but rather preferred to fish in the river or play in the mango gardens. Nobody of his family of course was happy about that, but there was no way to awaken his interest in school education. One day it came to a chain reaction: The teacher caught him skipping classes and slapped him. Baba reacted and kicked the teacher as hard as he could in his shinbone. The teacher hit him again and brought him home to his older brother, who hit him as well because of his misbehaviour. He got hit once more by his father when he came home from work. This day Baba ran off and jumped on the first train he found standing in Patna railway station. Destiny took him to Delhi. He dwelt around the railway station for some time, until a Sardarji came along and offered him a roof and food in exchange for working in the household. Baba stayed with him for six months, but soon he wanted something more than only cover his basic needs and took a job as a dishwasher in a local dhaba where he could sleep, eat and got paid some rupees. It is not uncommon to see young kids working in restaurants and chai shops in India; probably many of them lived a similar story or were victims of alcohol problems in their families. After sometime the dhaba owner found out that Baba was a talented cook and he gave him that job. Like most teenagers Baba felt attracted to all the Bollywood glamour shown on television. One day he took the money he had saved and moved to Mumbai. He did not become a Bollywood actor, but found a well paid, but hard job at the railway station: Loading and unloading heavy bundles of textiles for their transport. After having done this job for about two years something that would change his life came into his mind: He wanted to go on the pilgrimage to the holy Shiva place of Ammarnath in Kashmir. He changed his jeans and t-shirt for a simple saffron-coloured lunghi and kurta. At the last stop in Jammu he went off the train. From there on he would go the rest of the distance by walk, joining many other sadhus who were heading to the same destination. After walking on and on for a long time, a scene on the roadside attracted his attention: A crying woman holding her sick child in her arms had approached a sadhu. She explained that she already had visited many doctors, but non of them found an effective treatment. The sadhu examined the child, gave some ayurvedic medicine to the mother and his blessings to the boy. Baba decided to follow this sadhu. There was something about him he felt attracted to in a special way. 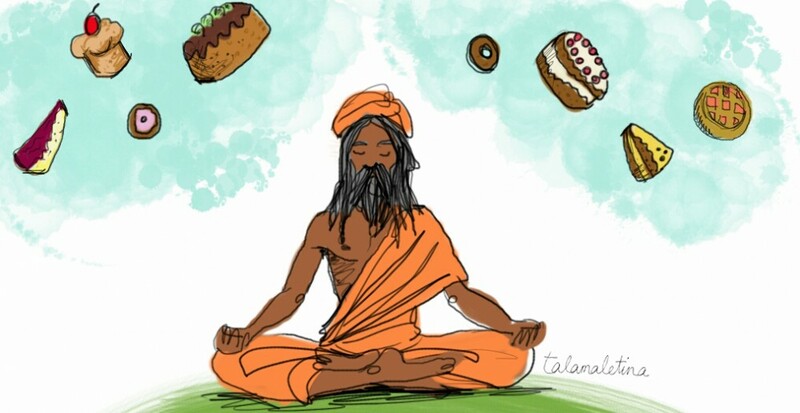 He asked him if he would accept him as a disciple, but the sadhu politely refused. Baba followed him anyways and offered him his seva. He even followed him back to an ashram of the Nath Sampardaya in Punjab. After five months the sadhu finally decided that the time had come to accept Baba as his chela. 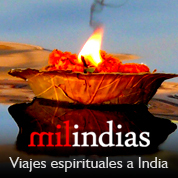 Sadhus don’t use to accept a new disciple easily, as this also involves assuming a lot of responsibility. It is like adopting a child; by becoming someone’s Guru they also turn into the student’s father. They want to make sure as well that the applicant is serious about his decision. In the end real sadhu life is hard life. 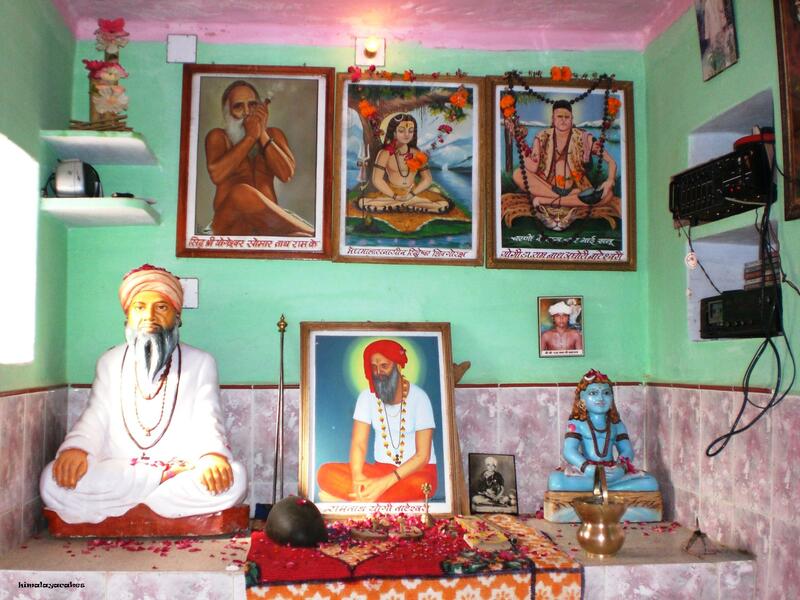 Guruji took Baba to his ashram in Bikaner where he lived and learned for eight years. On Guruji’s suggestion, Baba then went to live alone in his own little ashram in a desert nearby for some years. Eventually he decided to wander through Northern India by himself. 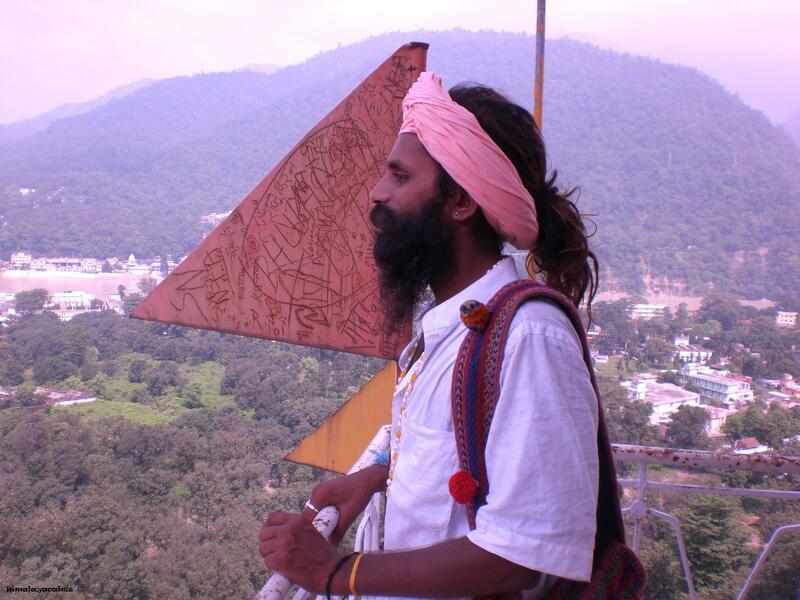 He liked Rishikesh very much and felt curious about all the foreign travelers he met there. He was keen on knowing more about the world outside of India and simply enjoyed their company. And one day we came across each other on the shores of the Ganges. One reason why I liked Baba from the beginning is, that he never asked anybody for anything. He was just one of these persons I met in my life in whose eyes happiness and satisfaction were reflected.